At the requests of students, parents, and administrators alike, California recently sought to improve on state laws about bullying in school. The ever-changing nature of the internet and social media brings new ways for students to be harmed or cause harm. This includes cyberbullying. By December 2019, schools in California are required to enforce the new anti-cyberbullying laws. Here’s what you need to know about the new anti-cyberbullying laws in California. By definition, cyberbullying is the act of harassing someone online for any reason. Actions that constitute cyberbullying include making digital threats and creating fake social media accounts in someone else’s name. Also, studies prove that cyberbullying is just as damaging as in-person bullying. Social media is a major part of most young adults’ and children’s lives these days. Therefore, It’s important to adjust laws and regulations to include bullying that occurs online and on social media. California Assembly Bill 2291 is the first bill in 2019 to address cyberbullying in California. 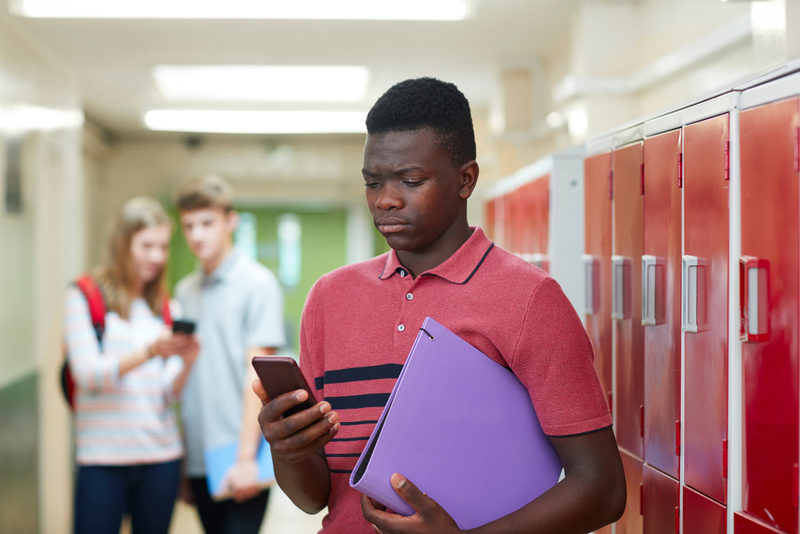 It states that in addition to schools’ anti-bullying laws, faculty must undergo virtual training on how to detect and deter digital bullying. The law also requires that schools must provide accessible counseling on campus. Moreover, there should be a minimum of 1 counselor for every 600 students. California Penal Code Section 653.2 holds a person accountable if they participate in online bullying. If the person responsible for harming another student had bad intentions, then the victim or education system reserves the right to hold the accused accountable. The consequences include up to one year in jail, and up to $1,000 in fines. A change to the California Safe Place to Learn Act includes the protection of victims harassed online. The Act itself represents a safe space for students. This includes students of all backgrounds, sexualities, and gender identities. Moreover, it now protects students facing judgement online both on-campus and off-campus. It also states that a school environment should be a comfortable work space for all. It’s uncertain at this time how effective the new laws will be. However, we can expect them to shape other state laws in the future. Given the new preventative requirements, we could see positive results across California and the nation.